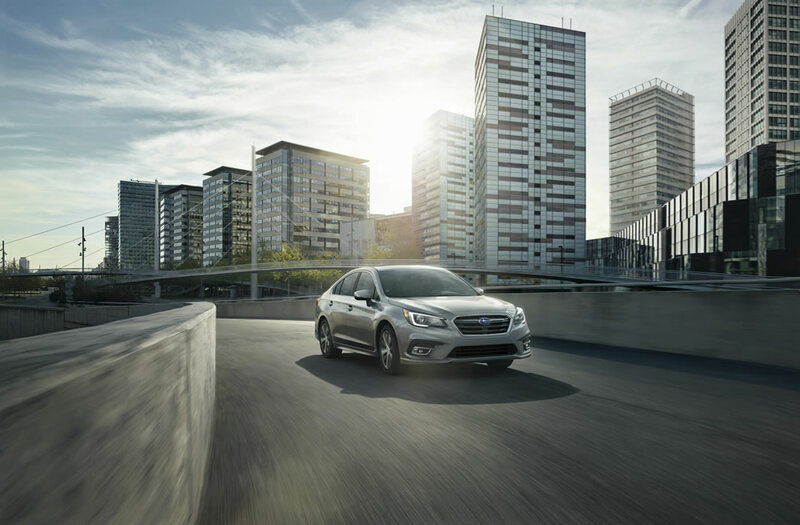 (MISSISSAUGA) — Subaru Canada, Inc. (SCI) is pleased to announce that the updated 2018 Legacy will be available in Subaru dealerships across Canada this summer. With its major refresh, offering enhanced ride quality, handling and steering feel, the 2018 Legacy sedan looks sleek and appealing, is safer and more functional, and comes with several enhanced infotainment features. For 2018, the Subaru Legacy lineup includes five trims: the Legacy 2.5i, 2.5i Touring (available with optional EyeSight Package), 2.5i Sport with EyeSight Package, 2.5i Limited with EyeSight Package and the 3.6R Limited with EyeSight Package. The manual transmission option has been discontinued. On the 3.6R Limited with EyeSight Package trim, a new set of LED fog lights and fog light surrounds are accompanied by a revised front grille, front bumper, door mirrors and rear bumper, as well as twin muffler cutters. For the 2018 model year, all Legacy models are enhanced with next-generation safety features, including a stronger chassis, improved child seat anchors, window off-delay timer and a new auto door lock feature and collision detection feature that will automatically unlock the doors if necessary. On the practical side, Subaru has revised the steering wheel, steering-wheel switches, and improved the steering feel for better control. The Legacy also features added dual USB slots for rear-seat passengers, and improved air conditioning. A standard 6.5-inch infotainment system that now comes complete with Apple CarPlay and Android Auto, allowing easy access to your smartphone device. As well, acoustic front door glass reduces engine, wind and road noise in the cabin. The 2.5i Touring offers new LED fog lights and surrounds, updated HVAC controls with digital readouts, an 8.0-inch infotainment system and a muffler cutter. The 2.5i Sport with EyeSight Package adds LED steering-responsive headlights for better light distribution while cornering, and enhanced Adaptive Cruise Control and Lane Departure Prevention features. New for 2018, the 2.5i Sport and Limited Packages also feature revisions to the High Beam Assist feature, which allow for the removal of the third camera behind the rear-view mirror. In addition, the 8.0-inch infotainment system on the Limited trim comes with GPS navigation.